This gallery shows a sampling of unfinished wooden wine boxes we created. All boxes can be made from any wood you choose. 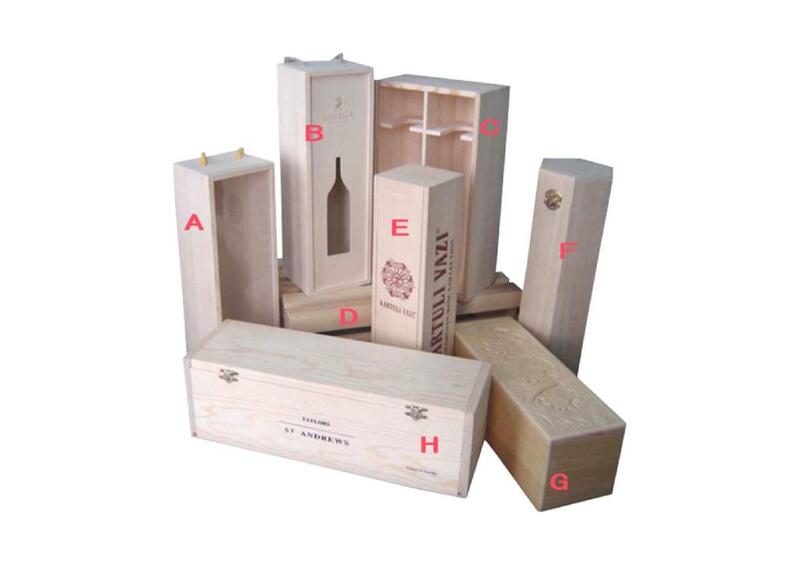 We have a large range of boxes for your wine bottles packaging. They can be hinged, have a sliding lid, adapted lid or any other variety. They can be finished with inside dividers and felt, or we can make them all natural. We also offer logo imprinting, hot stamping, carving or gold/silver burning. We take great pride in manufacturing the highest quality custom made wooden wine boxes and holders for each and every customer. We have the skilled workforce and expertise required to meet any and all of your wooden box needs.